What comes to mind when you hear the term “guard dog?” Do you immediately picture a monstrous, muscular animal with massive slavering jaws and a bone-chilling, deep-voiced bark? Actually, although some guard dogs are big and mean-looking, that isn’t really a requirement in order for a canine to become a guard dog. After all, dogs are man’s best friend, and not everyone wants their best friend to be a scary, fierce creature capable of ripping your throat out without a moment’s notice. Historically, there are all kinds of guard dogs that are a lot more average in appearance, with gentle natures and friendly attitudes-except for when a situation arises in which their owner requires protection. That’s when the cuddly family pet can transform into an angry mama bear protecting her cubs. So if you’re considering buying a guard dog, first consider exactly what kind of protection you really want and need. For instance, some guard dogs are used to capture fleeing criminals, some guard dogs are chosen to be a watch dog that sounds the alert in the event of intruders, and some guard dogs are selected for intimidation. People have different reasons for wanting a guard dog, so it’s important to take that into account before choosing which protective dog breed to buy. This list of the Ten Best Guard Dogs is compiled through both extensive research and personal experience and will provide some general information about the various protective dog breeds. However, keep in mind that just like humans, every dog is unique with its own individual personality, and a dog’s capacity to protect is based upon a combination of instinct and training. This fierce beauty was specially bred in South Africa for lion hunting, so as you can imagine, it is quite capable of defending your home. 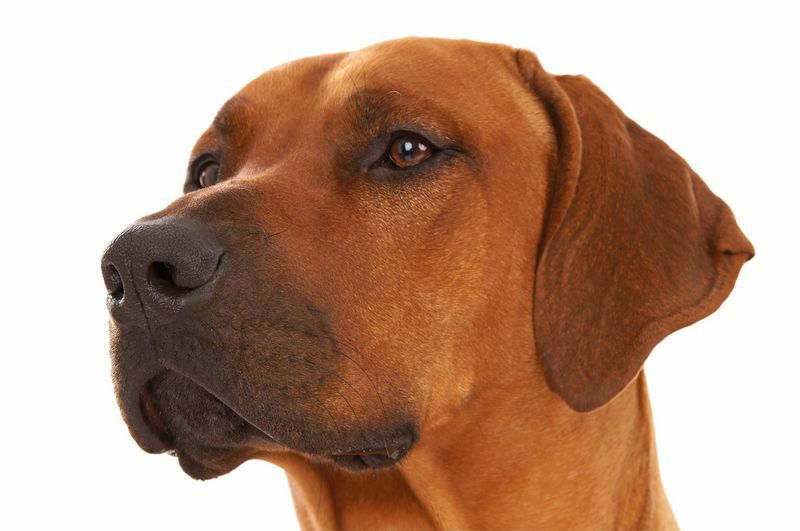 Colored a dark, rusty tan with warm red tones, the Ridgeback gets its name from a strip of standing hair along its backbone that grows in the opposite direction of his coat, creating a ridge along his back. They stand 24-27” at the withers, and weigh 70-85 lbs. This dog has the capability to be extremely protective, but unless ordered by his owner to guard will usually just be aloof to strangers, not aggressive. They require special training to be efficient guard dogs, but once trained will definitely keep intruders from entering your property. Sheer size makes this breed extremely intimidating to potential intruders, with males weighing as much as 200 lbs. and standing as high as 34” at the shoulder. Colors include fawn, brindle, blue, black and harlequin. Belying its massive size, this dog is quite the gentle giant in most circumstances, and great with children and other animals. But there’s no need to tell that to a potential burglar, who would definitely turn tail and run in the other direction when confronted with this gigantic canine. Bred specifically for guarding English estates, this stocky, muscular animal is instinctively protective of its territory and its owners. They stand 24-27” and weight between 100 and 130 pounds, and are colored red, fawn or brindle. They are very quiet dogs in general, and bark only with good reason, so if your bullmastiff is barking- pay attention. Imagine the distinctive Schnauzer beard and eyebrows on a Great Dane and you can picture the Giant Schnauzer, which may in fact have developed from breeding the standard Schnauzer with Great Danes. The Giant Schnauzer is a working dog used in police units for search and rescue, and is extremely intelligent and easily trained to become a family guard dog. Yes, they’re cute, but they are also very smart with an instinctive herding nature that can be merged with training to have them help you keep track of wayward toddlers. A collie is known to herd a child away from dangerous situations such as a pond or highway, and they are also quick to alert you to the presence of a stranger. 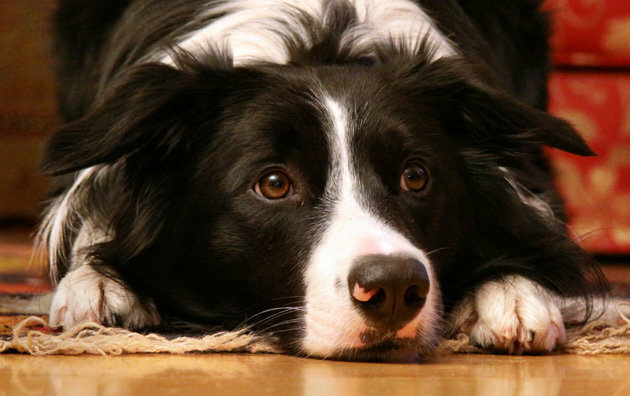 Border collies grow 18-22” and their lush coats come in a variety of colors. In truth, it is irresponsible ownership that is to blame for the mean, ferocious “junkyard dog” reputation that Rottweiler’s have unfairly earned. Although this powerful animal is certainly quite capable of inflicting serious damage with those huge jaws, ferocity is not their true nature. Rottweilers are gentle, very calm and not easily provoked. They are also extremely loving and devoted toward their owners, which is at the heart of their protective instincts. A Rottweiler defending its family is fearless. In many instances, intelligence and obedience are more valuable requirements in a guard dog than brute strength and intimidation. Labs are wonderful assistance dogs that are trained as therapy dogs, security detection dogs, and seeing-eye dogs. They are gentle with children, very friendly and loving, and instinctively protective even without professional training. The Doberman was bred to be a protection dog, large and intimidating in appearance, and are often stereotyped as aggressive and ferocious. In fact, these traits are part of the reason the Doberman is acknowledged as an excellent guard dog, but most especially because they are also extremely obedient and only behave aggressively on command. They are adoring of their owners and outstanding personal defense dogs. Dobermans are black-and-tan, about 24-28” tall and weigh 60-90 lbs. German Shepherds are strong and smart, and are used in police and military roles around the world, although they were developed originally for herding sheep. They respond extremely well to obedience training, and as family dogs they are known to be loyal and protective as well. Surprise! What were you expecting, a pitt bull? This pint-sized terror is in fact one of the most protective, ferocious and capable dog breeds of all. This short-legged, long-bodied dog was bred to hunt and kill the fierce, burrow-dwelling badger, and was used in WWII for sniffing out and digging up land-mines. 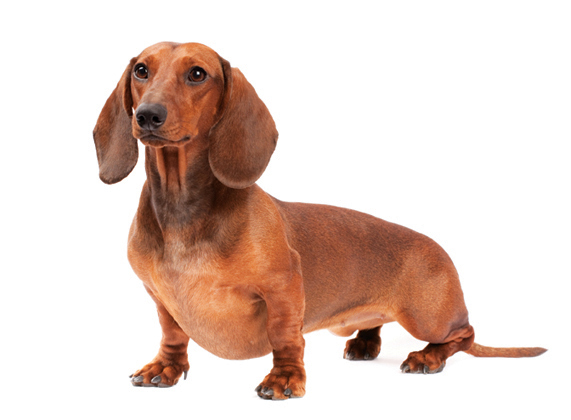 Don’t disregard the weiner-dog as a guard dog because of its small stature. They are quite territorial and have no concept of fear. Dacshunds will bark wildly at intruders, chase off dogs much larger than themselves, and will attack and kill poisonous snakes. I know these things from personal experience. Our family dog is a 13-year-old Dacshund named Teddy Turbo, who during his lifetime has chased away a pair of wandering Rottweilers, killed a rattlesnake in my garden, and alerted me to an attempted burglary. Am I biased in naming Dacshund the #1 guard dog? Ya think? I’s surprised you didn’t include the Airedale among best guard dogs. I have had two, both naturally excellent at warning of intruders, intimidating them, and absolutely fearless. One of my dogs killed at least 24 poisonous snakes in one day. They were extensively used by the army in WWI. Yet they are wonderfully gentle with children. Please check them out.